Whether you like Pinterest or not, one thing you can’t deny is that the site has taken off like gangbusters. You’ve heard all of the talk about its growing userbase and the sick amount of referring traffic it’s sending to sites, but the top story when it comes to Pinterest is the fact that it’s mostly popular among a female audience. It took me a while to understand what was so interesting or addictive about Pinterest but I’m finally starting to understand the power of its curation potential. When I took a look at the top ten users on Pinterest I wasn’t surprised that six of them were women and three of them were either an official Pinterest account or were accounts by one of its co-founders. That leaves one person in the top ten that doesn’t fit that criteria and lo and behold, he’s a dude. I’m more than simply a graphic designer, however. I’m a conceptually driven creative problem solver and a strategic thinker. My focus is always on pinpointing the perfect solution for any design problem, regardless of size, style or complexity, while walking the tightrope of exceeding client expectation and pleasing the target audience. 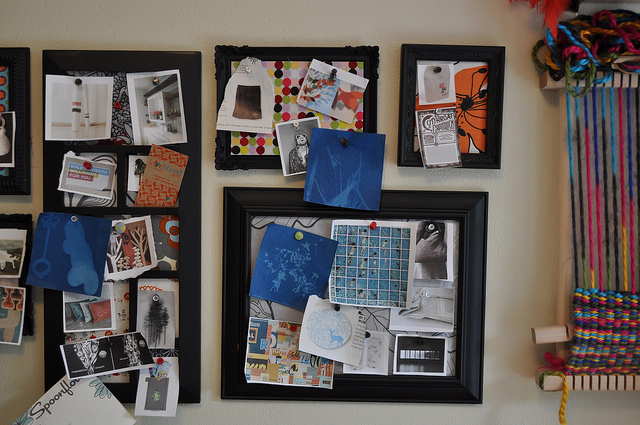 The next time you think that Pinterest is just for women, remember that it’s simply not true. Pinterest is for people who focus on putting really pretty stuff on it, organized in a way that others can easily consume, just like a graphic designer and expert in user experience does on the web like Mike Dew. 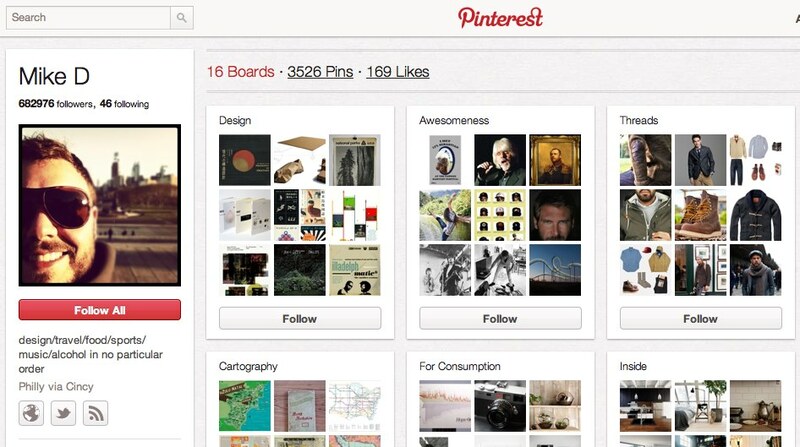 Even The Next Web is on Pinterest, why not check out what we have going on?